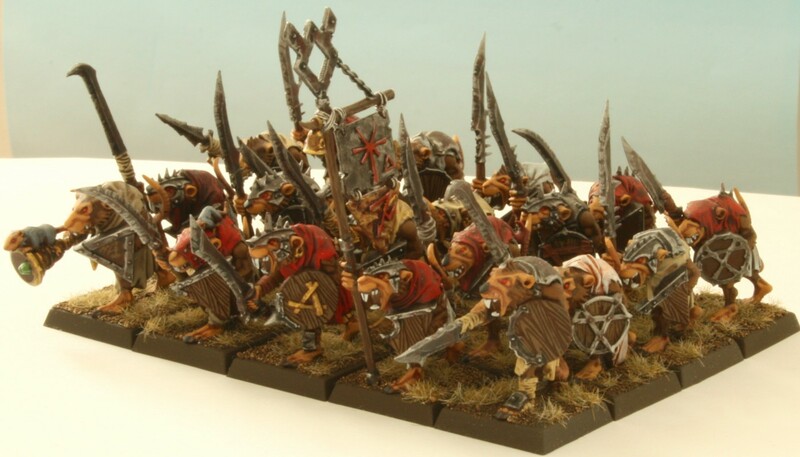 This is for most of a box of Skaven clan rats. From the looks of it, about 4 complete warriors are off the sprue/gone unto the void/not included, and there are no bases. Otherwise, this is all you need to make a box of clan rats!